Infamous: Second Son is celebrating its first birthday this week, but gamers are getting all the gifts. Yesterday, Sucker Punch Productions unveiled a handful of party favors that will hit the net next weekend. 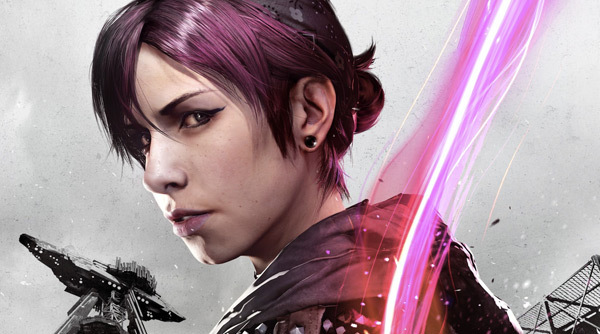 In a post in the PlayStation Blog, Sucker Punch founder Brian Fleming thanked players for supporting his latest game and announced a 50-percent price reduction on the "Infamous: First Light" DLC. The sale runs from March 27th to March 30th, and if you've already played "First Light," Fleming's got a few other perks. […] we have a free downloadable fan kit for everyone! This will include inFAMOUS Second Son cover art for use on Facebook and Twitter, Delsin, Reggie, Fetch, Eugene, Hank, and Augustine avatars for use on Twitter, wallpapers for your phone, and Delsin and Fetch ringtones. Obviously, those ringtones are the coolest part of Sucker Punch's collection. They're the actual tones that Delsin and Fetch used in Second Son and "First Light." Don't believe me? Well, Sony uploaded them to Soundcloud. Second Son is one of the PlayStation 4's biggest hits. It sold more than a million copies in the first nine days, making it the fastest-selling member of the Infamous franchise. Plus, Sony included the "First Light" DLC in January's PlayStation Plus catalog, and roughly 3.5 million people downloaded it. Right now, Sony doesn't have many flashy triple-A exclusives on the PlayStation 4. DriveClub and Knack were heavily criticized by reviewers and fans, and Killzone Shadow Fall didn't generate much excitement (though, it did sell a lot of copies). And lets not forget about The Order: 1886, a game that was praised by critics for its graphics but panned for its length. Sony is hoping to break its dry spell when Bloodborne hits the market next week. The game's developer, From Software, also created Demon's Souls and Dark Souls, which were two of the last generation's favorite titles. So, there's a good chance that Bloodborne will be a fan-favorite. We can’t thank you players enough — it’s been a fun year for all of us at Sucker Punch, and that’s due in large part to the support you continue to give us, Delsin, and Fetch. Keep playing, and we’ll see you all soon in the chalice dungeons in Bloodborne! !